Support your cause with this great t-shirt. 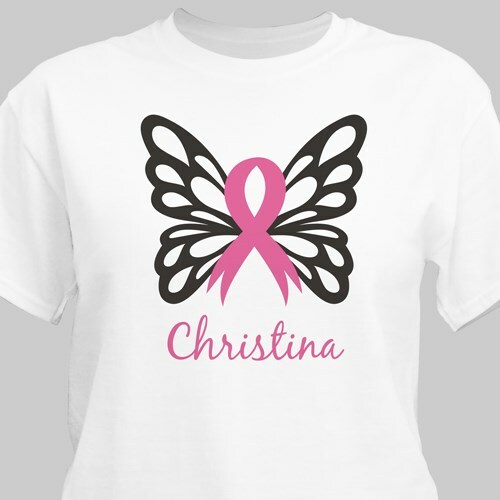 Choose one of our 6 design color choices and personalize these Breast Cancer Awareness Shirts with any name to create a wonderful way to let your awareness be known. This t-shirt is a premium, pre-shrunk 100% cotton t-shirt. Machine washable in youth sizes XS-L and adult sizes S-3XL. 4XL is available in white only.